Let me quickly answer Mike’s points, and then we’ll be done here. Yet he conveniently mentions none of the clips that I “doctored.” Mainly because the uncut shows are on the app. "𝐇𝐞 𝐨𝐧𝐥𝐲 𝐦𝐞𝐧𝐭𝐢𝐨𝐧𝐬 𝐭𝐡𝐞 𝐨𝐧𝐞𝐬 𝐈 𝐠𝐞𝐭 𝐰𝐫𝐨𝐧𝐠!!!" Guilty as charged here, however.. A) Mike rarely gets anything right. B) Mike always tells us when he gets something right. I point out when he's wrong. He points out when he's right. It's a nice balance. 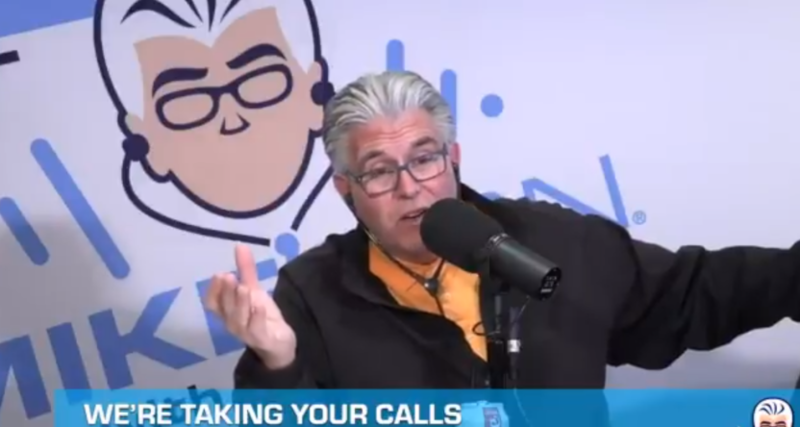 Jerome clowning Francesa is funny, but the really significant part here is Francesa trying to get out of things he said that were caught on video with “don’t always go by that like it’s real, because they can edit stuff a million times on the internet.” Francesa said what he said about Bennett, and his attempt to deny that and blame it on video editing and “problems on the internet” is ridiculous and hilarious. “I NEVER SAID THAT!” works better when people aren’t keeping your receipts.